SoftBank Mobile announced their handset lineup for the ‘Summer of 2007 Sales Battle’ which will be available from the beginning of June. According to the company press release the 12 new 3G models are focused on style, quality and individuality, see the dedicated Flash site [in Japanese] Here. We note six handsets are coming from Sharp, including the 913SH slider while the upstart telco claims a scoop for the first deployment in Japan of Windows Mobile 6 on two of the units from HTC. Toshiba added three models with Samsung and Panasonic each contributing one. More details after the jump. WWJ took a (quick) test-drive on this HTC model here a few weeks ago and we were fairly impressed.. we hope to have more time with this unit soon and will do a more detailed review. Meanwhile pardon the ‘best-effort machine translation below. - 1 2007In the cellular phone (ROA Group examination) sold the fifth high rank of world cellular phone sales share place and domestically as of the age May 22. 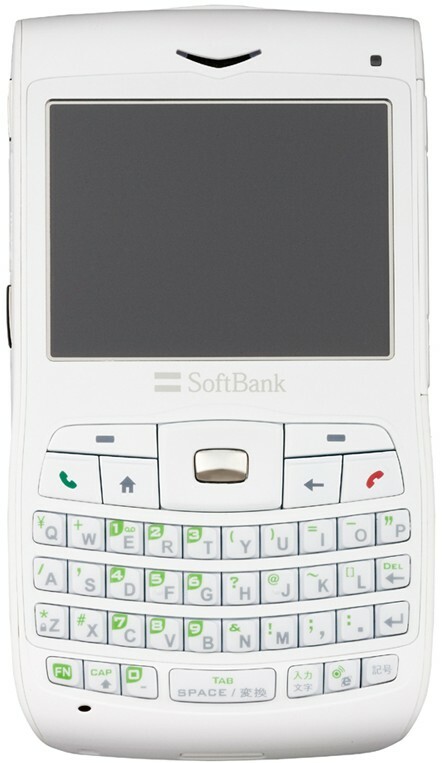 - 2 “SoftBank 805SC” is announced as a model for the sales battle in spring on January 25, 2007. - 3 2007In the cellular phone (Samsung electronic examination) for W-CDMA as of the age May 22. - 4 Key that applied swelling to draw line of U in consideration of inclination of finger when key is pushed and swelling. - 5 2007Adopt the titanium material on the surface of the part on the main body as of the age May 22, and in the cellular phone (Toshiba melody) that can be used in the communication environment in Japan. Please refer to the report announced document concerning Windows(R) cellular phone of the announcement for details of “SoftBank X01T” today. - 7 2007In the cellular phone (our examination) sold in Japan as of the age May 22. Edition of Windows Mobile(R) 6 that becomes an object is Standard Edition or Professional Edition. - 81 Arrange the key widely used with the personal computer etc. in. It is called the QWERTY array from “QWERTY” six characters the left of the second step from on.